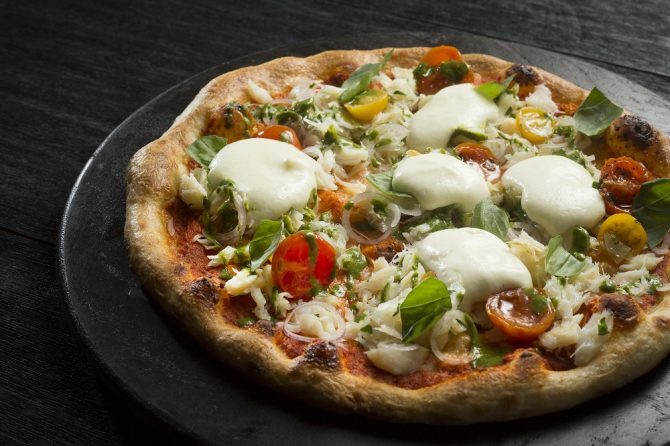 The latest addition to Resorts World Sentosa’s string of celebrity restaurants is Fratelli. 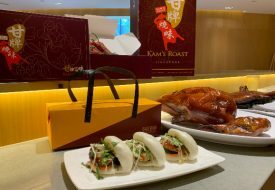 The space is split in two — to the right, a swanky Trattoria decked out in white marble and to the left, a homey Pizzeria with wood and brick accents. Fratelli is the brainchild of Three-Star Michelin chef brothers Enrico and Roberto Cerea. The brothers helm Da Vittorio in Lombardy, a family-run restaurant that has been around for 50 years. They earned their first Michelin star in 1978 and continued to strive for perfection till they finally earned their third star in 2010. Armed with the finest honour in cooking, the brothers set out to leave yet another mark on the culinary world. 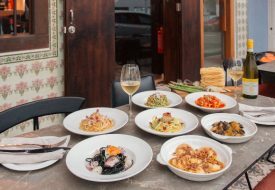 Fratelli, which means ‘brothers’ in Italian aims to bring traditional cuisine from Lombardy to Singapore. Chef Enrico says that the new restaurant aims to bring “the flavours, happiness and the joy of Italian living” to diners here. 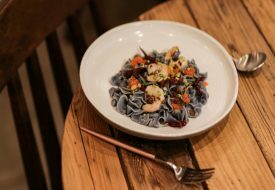 Unlike their fine dining establishment in Lombardy, Fratelli takes a more casual and personal approach. The Trattoria section of the restaurant is only open for dinner service. Here, you’ll be able to marvel at the skills of chef at work thanks to the open kitchen concept. The Cerea brothers included most of their signature dishes in Fratelli’s new menu. 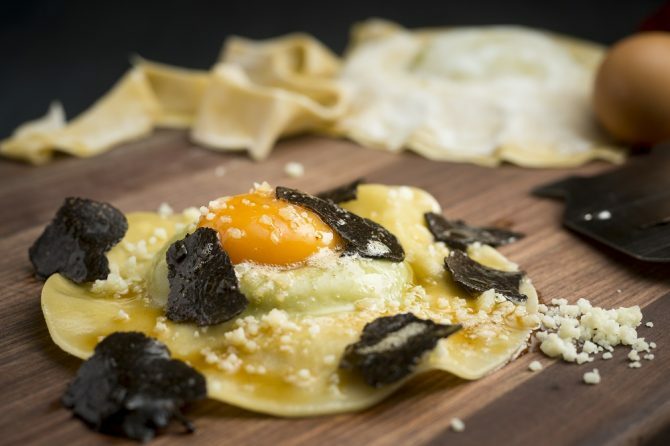 Be sure not to miss the raviolone di ricotta e spinaci, a homemade raviolo stuffed with spinach and ricotta cheese, topped with a free range egg yolk, emmental cheese and black truffle shavings. The luxurious dish is one of Chef Enrico’s proudest culinary innovations and upon tasting it, it’s not hard to see why. At the pizzeria, order a few unique pizzas like Baccalà Pizza or Bianca Pizza to share. each pizza is baked in a wood-fired stone hearth oven that retains extremely high heat, resulting in crispy thin crust pizzas that are almost biscuit-like in texture. The toppings used at Fratelli are more premium than what you’d find at regular pizzerias as the brothers pride themselves in sourcing the best ingredients like cured cod fish Baccalà and 20 months aged Parma Ham from “Pio Tosini”. Fratelli – Trattoria and Pizzeria. Resorts World Sentosa Level 1, Festive Walk (next to Hotel Michael). Tel: 6577 6688.